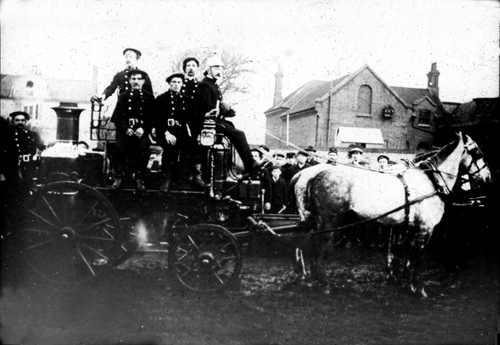 Cromer Fire Brigade pose with their Merryweather steam pump, circa 1900. This page is a miscellany of group photos over several decades. Where we have several group photos which go together such as the football teams, they're presented together under their own headings. Pictures will be moved from this group if we have a significant number which warrant a heading on their own. For some of the oldest photos, it will be very difficult to add names - but maybe you recognise a family member or have a photo which has names written on it. Please use the feedback page to send in information if you have it. We'll also be checking at the two town museums to see if we can find out more. For the more recent photos, maybe you can add names or correct spelling which we don't have in yet. Once again, we look forward to hearing from you. do let us know - if we don't gather the names now, maybe they too will be forgotten.